Just because Jon Jones had the final word in his rematch with Alexander Gustafsson doesn’t mean he doesn’t have more to say. Jones was given ammunition to fire at his detractors on Thursday when it was reported that his tests taken on Dec. 29 — the night of UFC 232 where Jones submitted Gustafsson in the main event to again become light heavyweight champion — came back negative for any banned substances. Both the United States Anti-Doping Agency and the California State Athletic Commission collected fight night samples. The news was particularly gratifying for Jones given the controversy surrounding UFC 232. Jones and Gustafsson were originally scheduled to fight at T-Mobile Arena in Las Vegas, but the Nevada Athletic Commission refused to license Jones after abnormalities were discovered during analysis of his last 18 months of drug test results. It was determined by the USADA that oral Turinabol metabolites discovered in Jones’s system were the product of a previous test failure for which he had already served a 15-month suspension and not necessarily proof of a new ingestion, so Jones would not be sanctioned (he has twice been suspended after failing tests for banned substances in the past). However, the NAC’s decision forced officials to move UFC 232 to The Forum in Inglewood, Calif., on less than a week’s notice. 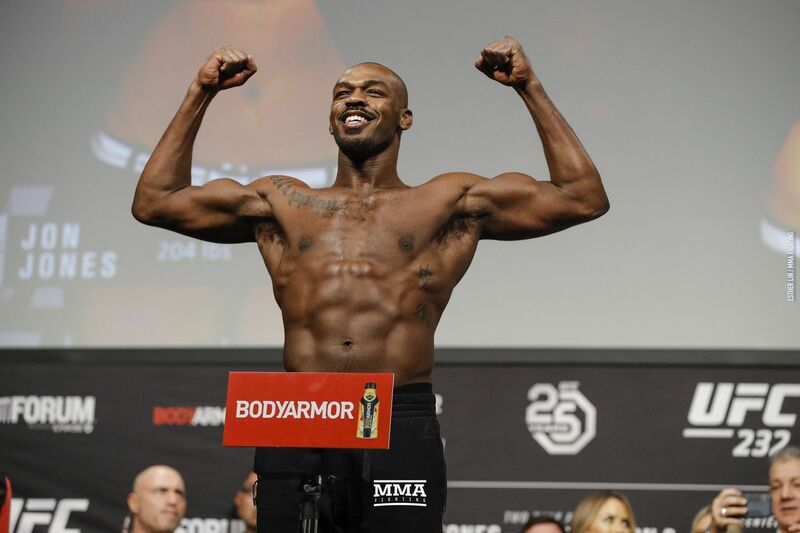 Jones is next scheduled to defend his light heavyweight title against Anthony Smith at UFC 235 at T-Mobile Arena in Las Vegas. That bout has yet to be officially announced as it is dependent on Jones being licensed at an upcoming NAC hearing on Jan. 29.